The story of a man who sells his shadow. Musical composition by Gerard Schultz. Dance Choreography by Christie Nelson-Sala. Featuring live music, dance and 3D shadows! I first met Kevin White about 12 years ago in Atlanta, GA. At the time, Kevin toured the Southeast performing marionette shows with his brother Brian. They worked for a company named Vagabond and had a boss that mismanaged the business. I moved away from Atlanta a few years after meeting them and they had both quit working for that company due to the fact that their boss didn’t run things too well. 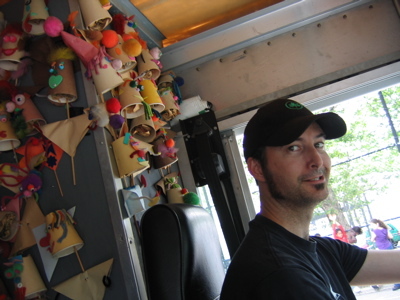 Kevin White behind the wheel of Puppet in the Park’s Puppet Mobile, NYC. 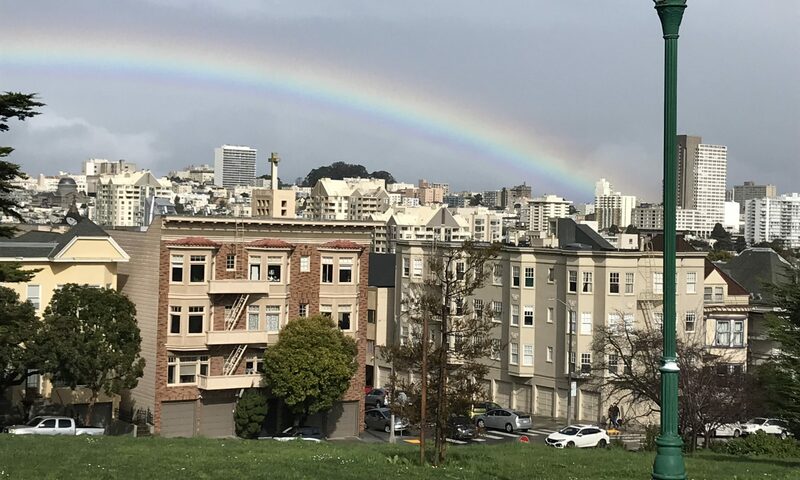 I lost touch with Kevin and found my own path to puppetry after moving to San Francisco in 1997. As I became an active member of the CELLspace Puppet Cluster (David Morely, Jonathan Youtt, and Joelle LaPlume were the main members, with Whitney Combs, Sam Bower, myself, and others as supporting cast) in 1999, I thought of Kevin often and wondered why I never felt drawn to puppetry in Atlanta.